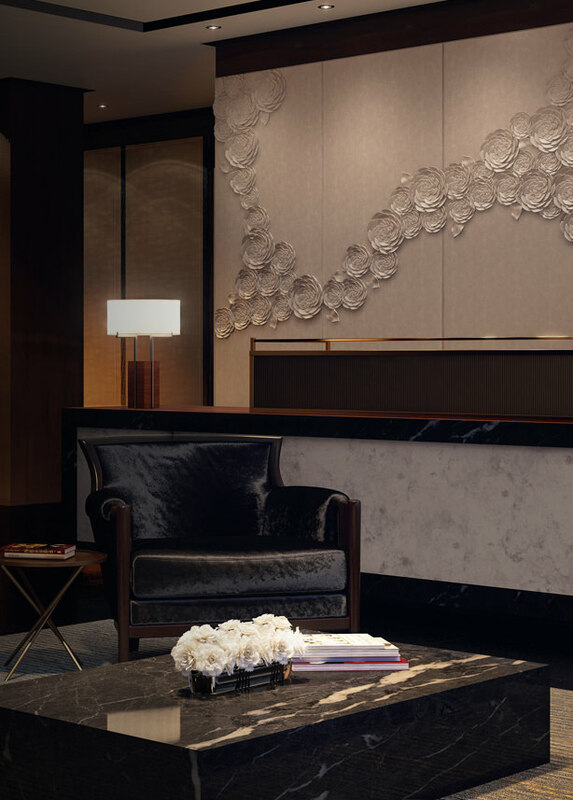 A nine-story jewel box building meticulously designed by Handel Architects, The Pacific brings richly modern amenities to a boutique collection of 76 pristine residences in the city’s most desirable enclave. 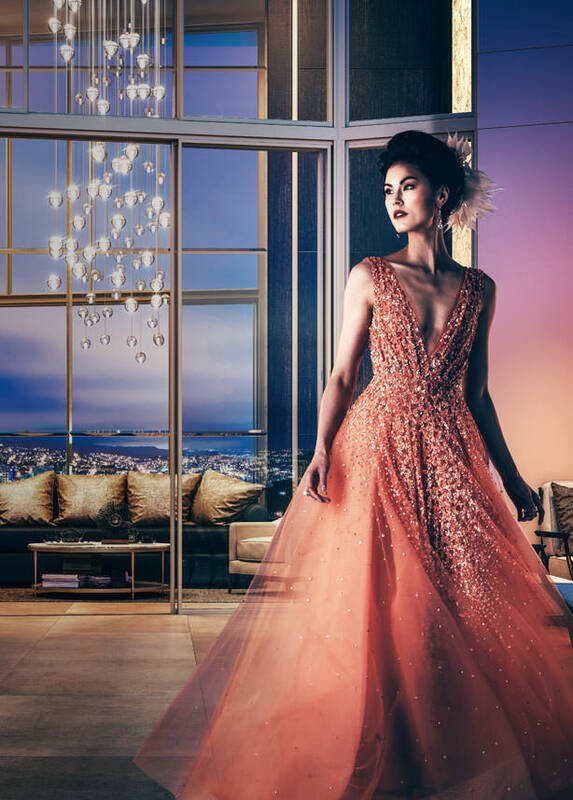 Destined for elegance from its inception, the original building presented a rare opportunity to build in Pacific Heights while providing a perfect framework for soaring ceilings, generous square footage, and gracious floor-to-ceiling windows. Outfitting each residence with modern finishes and features equal in quality to those in the finest of the neighboring Gold Coast mansions adds a level of refinement that places The Pacific in a class of its own. 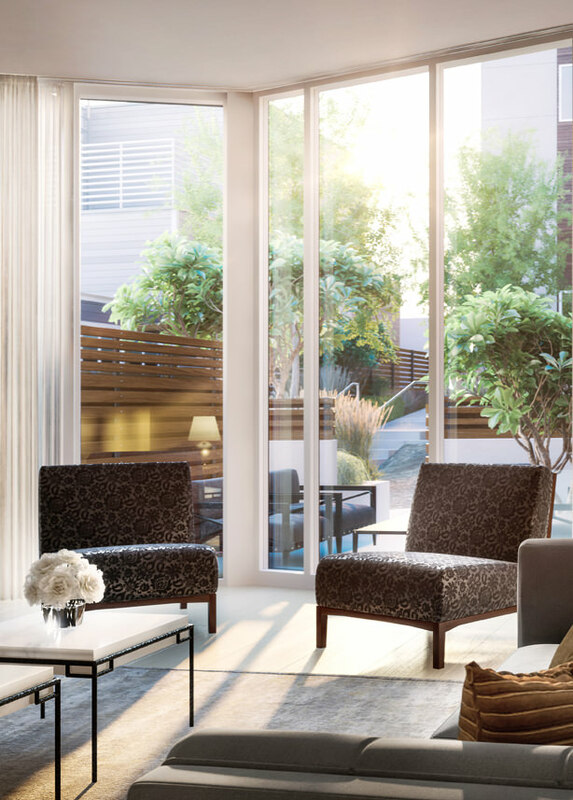 Each residence combines sophisticated charm, polished details and spectacular views with the dedicated desire for a fully LEED-certified environment. 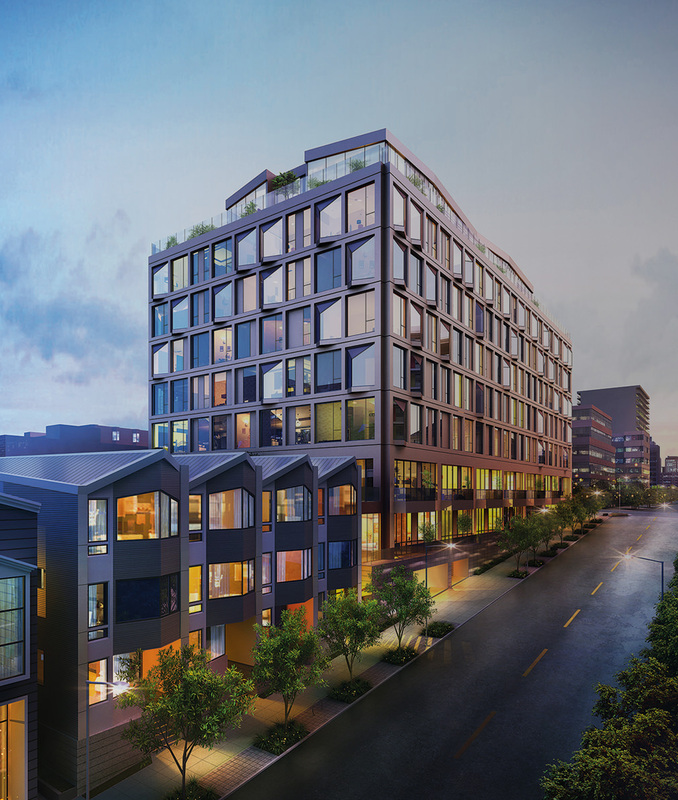 To provide residents with a luxury lifestyle rooted in San Francisco sensibility, The Pacific focused on energy efficiency and conservation measures through drought-resistant native plantings, improvements in indoor air quality, electric vehicle recharging stations, bike storage and more. 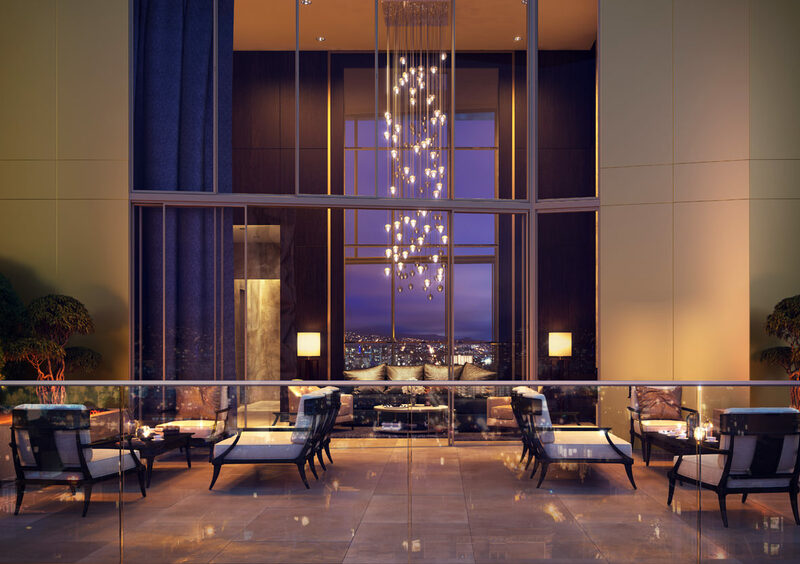 Pristine jewel-box residences clad in a champagne-colored façade destined for luxury. Drawing inspiration from luxurious spaces in New York, London, and Milan, this is the first in a series of beautifully articulated spaces within The Pacific. 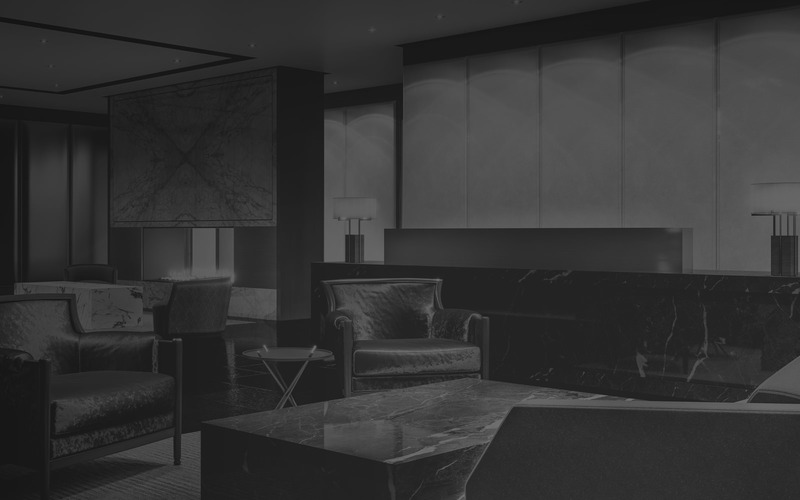 The noir-black antiqued limestone floor, reverse diamond matched Verde Alpi marble, bespoke artwork from London artist Helen Amy Murray, and a magnificent fireplace usher guests inside. 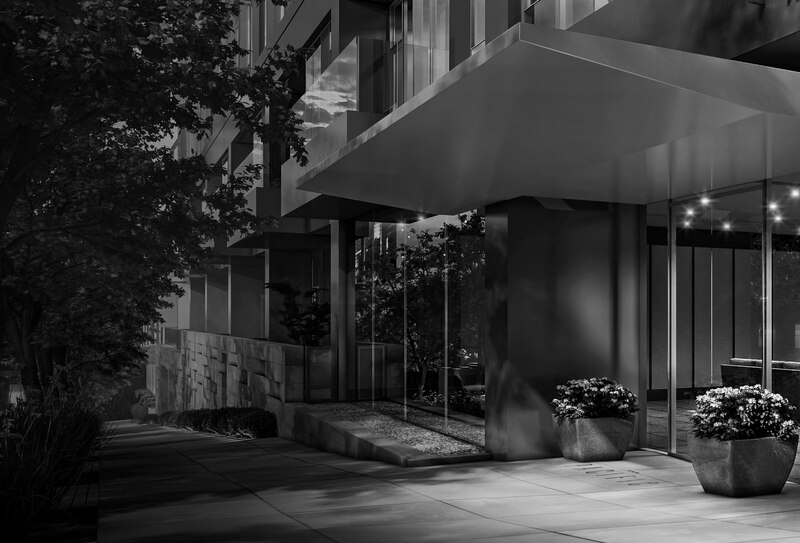 Here residents will enjoy an impeccable attended lobby with concierge service and direct access to a private, valeted garage. An ideal way to welcome friends, family, or colleagues—this charming, fully furnished hospitality suite provides generous accommodations that can be reserved for visiting guests. 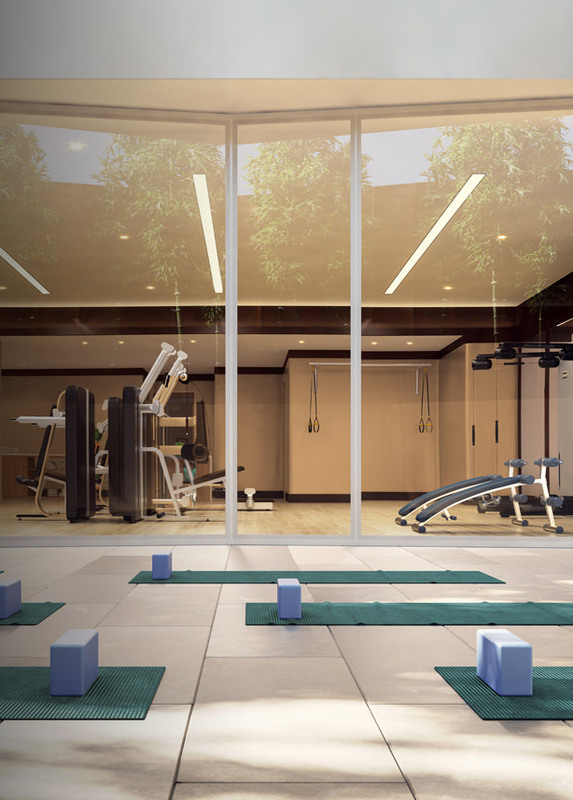 It features the same refined finishes as the residences and opens onto a private garden. 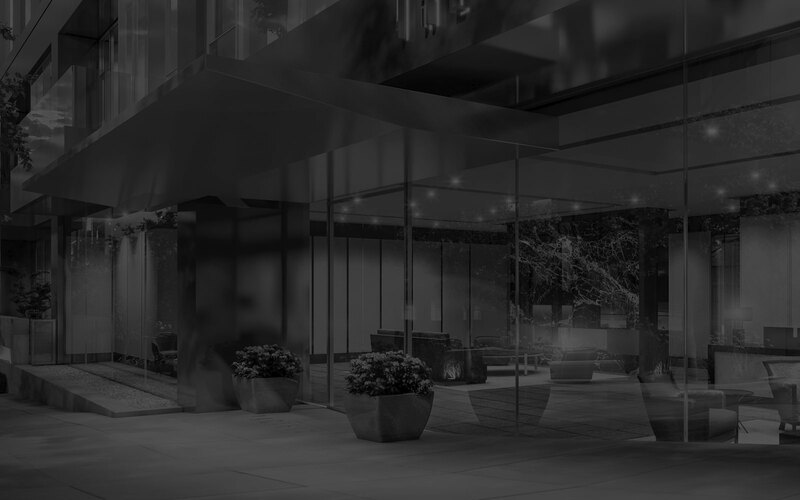 Perfectly appointed, modern residences bathed in amenities and nestled in the city's most coveted enclave. From atop the eighth story, the city unfolds in front of you with views of the Bay, the Golden Gate Bridge, the Presidio, the Marin Headlands, Tiburon, Sausalito, and the Island of Belvedere. 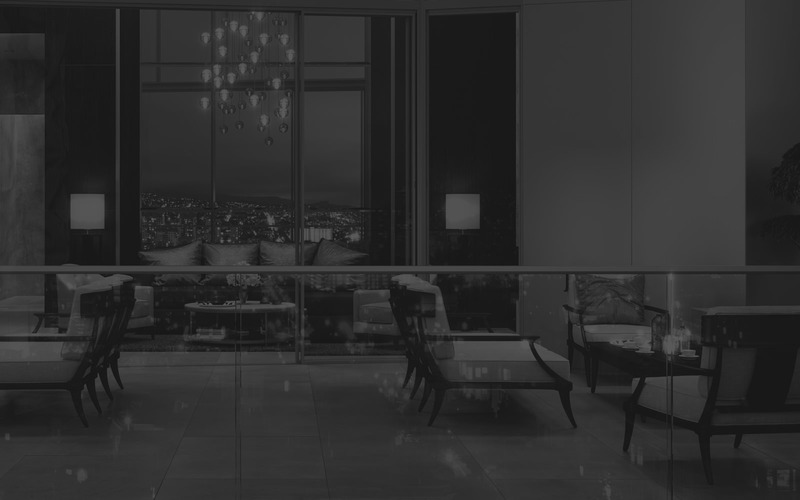 This spectacular penthouse-level residents’ lounge opens onto a comfortably furnished private terrace complete with outdoor fireplaces and an unparalleled vantage point. 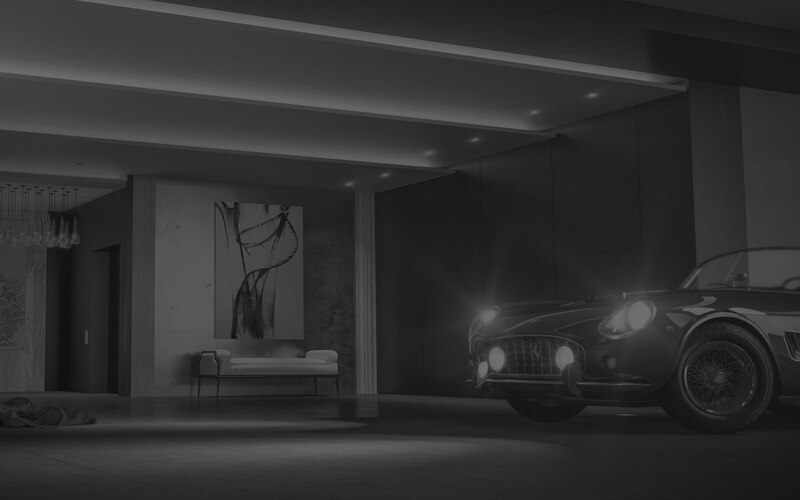 A rare San Francisco luxury, the private garage creates an elegant sense of arrival from the moment you pull into the black-stone driveway. 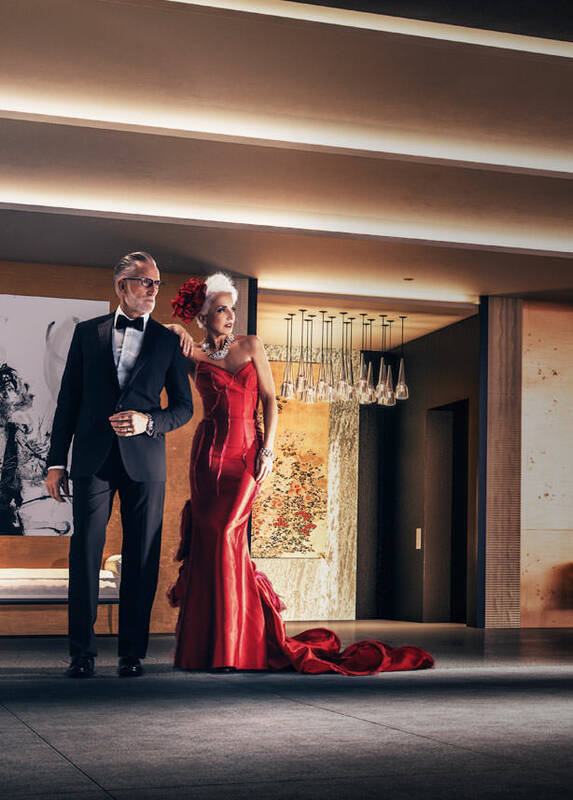 A full-service valet and direct elevator access add to the level of luxury that sets living at The Pacific apart. 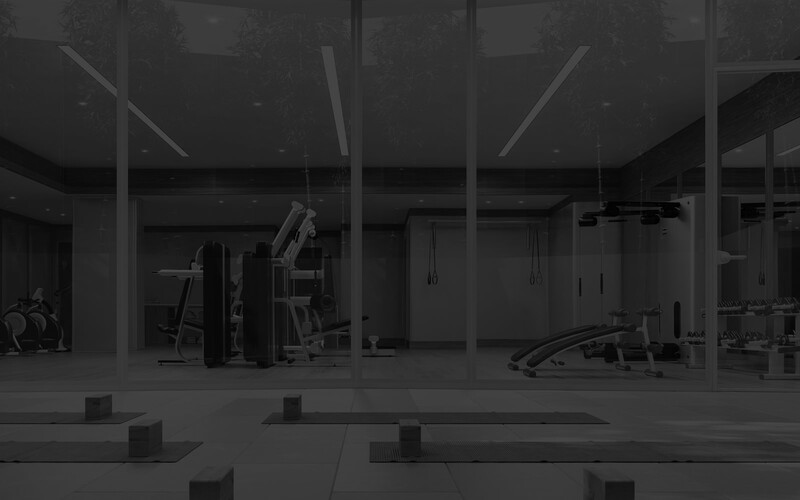 A private fitness studio and yoga garden offer a peaceful place to stretch, work in a circuit of cardio on state-of-the-art equipment, or cycle to your soul’s content. The surrounding gardens and manicured swaths of green space make the outdoors perennially inviting.